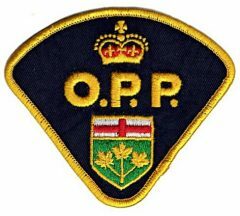 (Lanark Highlands, Ontario) – On Monday February 22, 2016, members of the Ontario Provincial Police (OPP) Organized Crime Enforcement Bureau (OCEB) Drug Enforcement Unit assisted by members of OPP Emergency Response Team, executed a Controlled Drugs and Substances Act (CDSA) Search Warrant and a Criminal Code Search Warrant which led to the arrest of two people. Small amount of cannabis resin, both hash and oil. Evidence of cannabis resin extraction was located at scene. He was held and released on condition in the Ontario Court of Justice, Perth. REVOK was released from custody on a Promise to Appear and an Officer in Charge Undertaking to appear in the Ontario Court of Justice on April 18th, 2016. …theft of electricity, firearm = one way ticket to Palookaville. Not extra groovy.